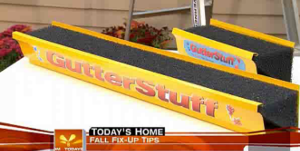 “One of the best ways to stay safe as it pertains to cleaning your gutters is to not have to clean them at all. Over the last 15 years there have been a number of gutter systems available to combat clogged gutters. Many of these are professionally installed and can cost as much as $10-$15 a running foot to install on your home. And while they are very effective and a value added proposition in my opinion it can also cost thousands of dollars to have some of these systems installed.